With AutoPay you can automatically collect payment from customers when an invoice is issued. AutoPay draws payment from your customer's attached payment method. Subscribe to an Invoiced plan that supports AutoPay. There are no limits to the number of AutoPay customers or invoices you can create. Have at least one payment method enabled that supports AutoPay. Currently AutoPay works with ACH, direct debit, and credit card payments. Payment information on file for each AutoPay customer. When connecting bank accounts the customer must verify the account before it can be charged. There are multiple ways to securely add payment information to a customer's account. New customers that sign up for a subscription through sign up pages will have AutoPay enabled and a stored payment method. Existing customers can sign into your customer portal and click Add Payment Method. This approach involves sending an AutoPay invoice to a customer that does not have payment information on file. Your customer will be able to pay the invoice online like normal, but we will also save the payment information used to pay for future AutoPay invoices. This is useful if you have a customer in person or are accepting orders over the phone. 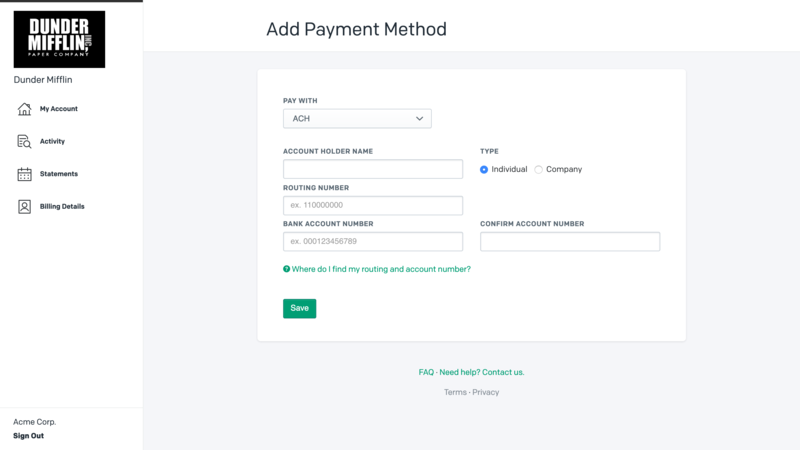 With invoiced.js you can securely collect and store payment information from customers directly from your website using your own forms and interface. AutoPay was designed to gracefully handle failed payments. We will automatically retry failed payments according to your retry schedule. If the payment succeeds at any point then the retry schedule will stop. Your customer will also be sent a Failed AutoPay Attempt email. The email will include an Update Payment Info button in case the customer's payment information is out of date. After all of the retries have been exhausted then the invoice will be marked as past due. Additionally if this was for a subscription invoice you can control what happens to the subscription in Settings > General > After Subscription Nonpayment. Let's walk through a basic scenario where we set up AutoPay for a customer by sending them an invoice. Go to Settings > Payments to enable ACH, Direct Debit, or Credit Card payments. Now we are going to create a new customer account. If you are creating a new customer then turn on the AutoPay switch. We are going to leave the Payment Info section empty because we are going to collect their payment information by sending an invoice. If you want to convert an existing customer to AutoPay then you can open the customer's account and click Edit in the Profile section. Let's create and issue an invoice against the customer's account. Next send the invoice to your customer. The customer will be able to view the invoice like usual. They will then click Pay. When they click Pay the customer will be able to select one of the payment methods you have enabled that supports AutoPay. Then while paying the invoice we will store your customer's payment information for use on future AutoPay invoices. Once a customer's added payment information they can update it at any time through the customer portal by clicking Change in the Payment Method section. 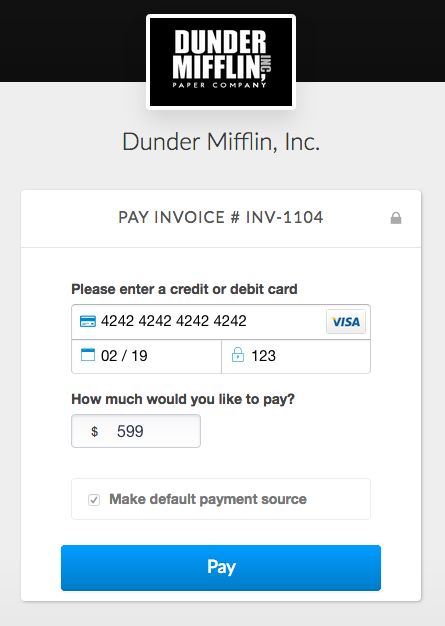 Invoices will also have a button to update payment information. Certain payment gateways that have Account Updater enabled will automatically update the customer's payment information if they are issued a new credit card. 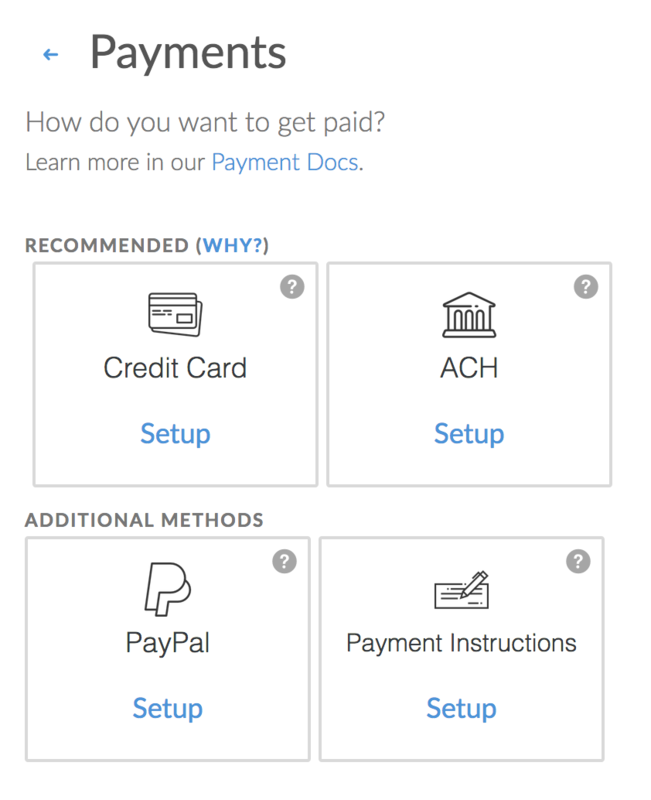 When is payment for AutoPay invoices collected? If an invoice has an issue date of today or earlier then payment will be collected no earlier than 1 hour after the invoice is issued. Generally you can expect payment to be collected in 1-2 hours. The 1 hour minimum delay gives you time to recover from any potential mistakes. If the invoice has an issue date in the future then payment will not be collected until the invoice issue date. 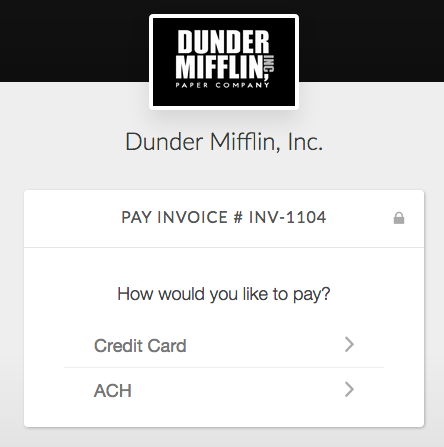 Can I trigger payment for AutoPay invoices sooner? Absolutely. 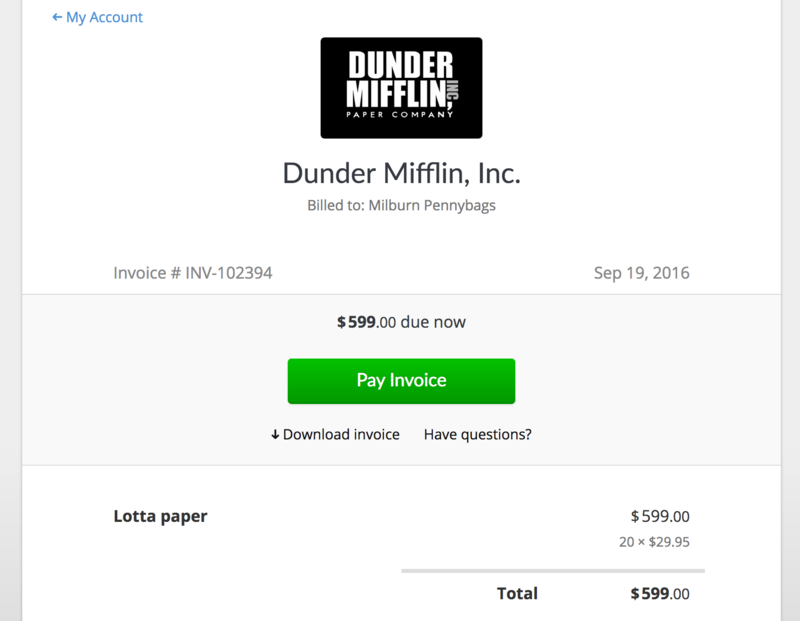 If you open the invoice in the dashboard you can trigger payment sooner by clicking Collect now on the invoice. This will initiate a collection attempt immediately. Can I turn AutoPay off for one invoice? Yes. 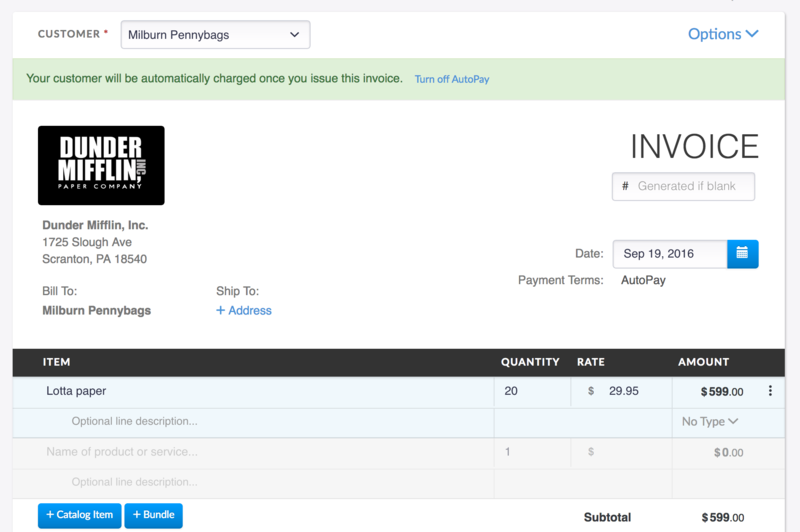 When creating an invoice for a customer that has AutoPay enabled, the AutoPay feature can be turned off for this invoice at the top fo the invoice creation page. The system will alert you that the invoice will be automatically charged on issuing. You can press the Turn AutoPay off, which will turn the AutoPay feature off for that particular Invoice. What automated emails does Invoiced send for AutoPay? Confirmation of payment that includes a PDF of the receipt. Notifies customer when an AutoPay payment attempt fails. Includes a button for the customer to update their payment information.